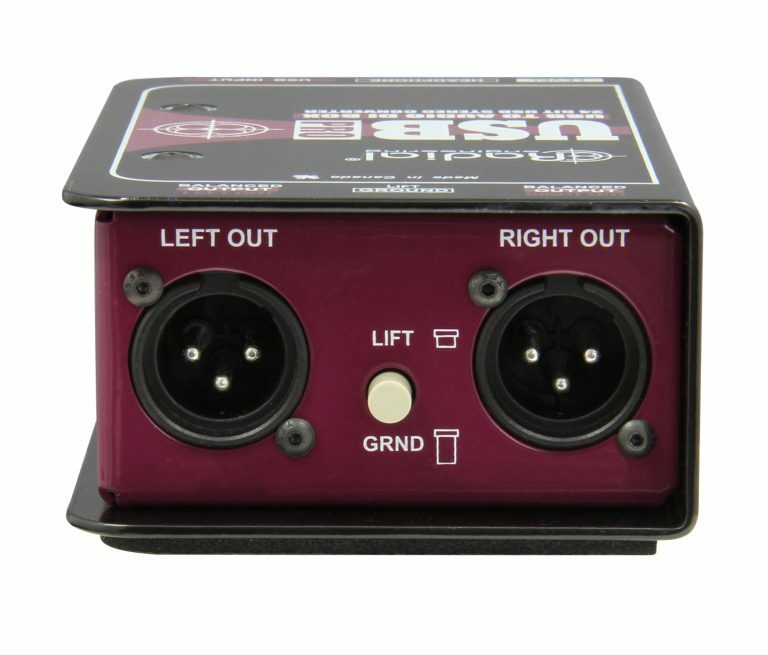 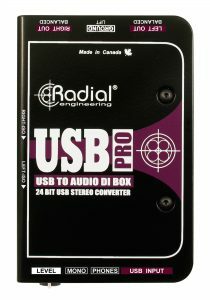 The USB-Pro is a high-resolution stereo digital audio converter and direct box that is designed to connect to any computer and seamlessly convert digital audio tracks to a pair of balanced analog outputs. 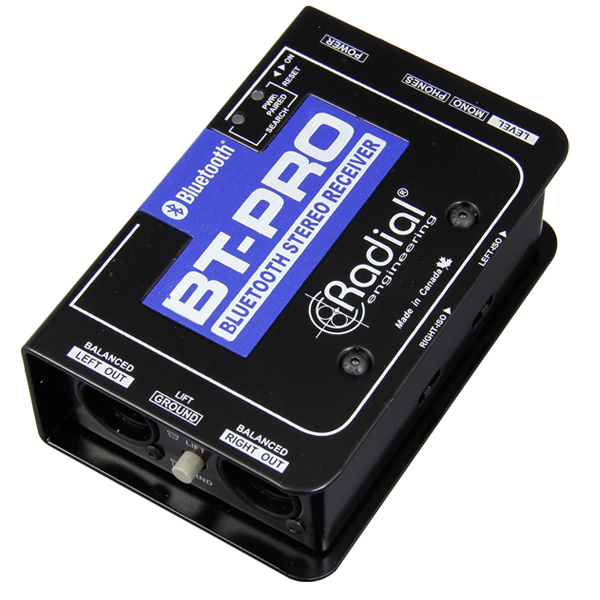 Nothing is simpler than the USB-Pro! 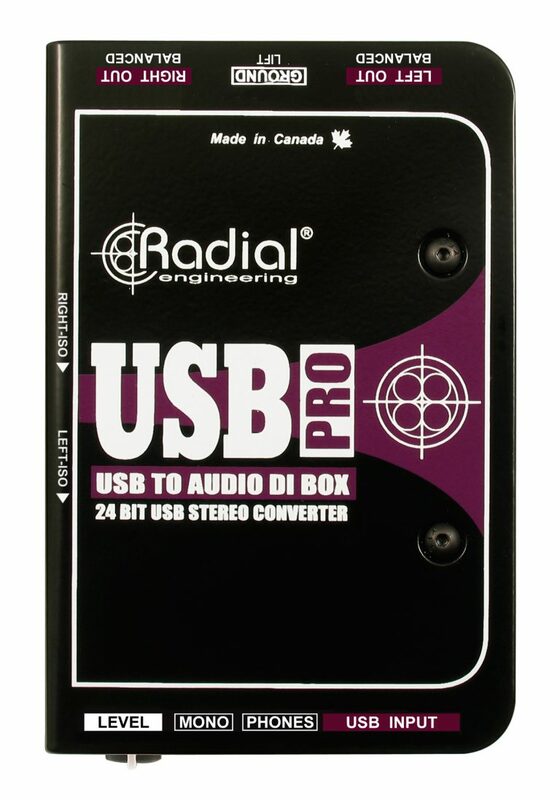 You plug it into your laptop and it automatically delivers your digital audio files to spectacular sounding stereo audio via the 24 bit digital to analog converters. 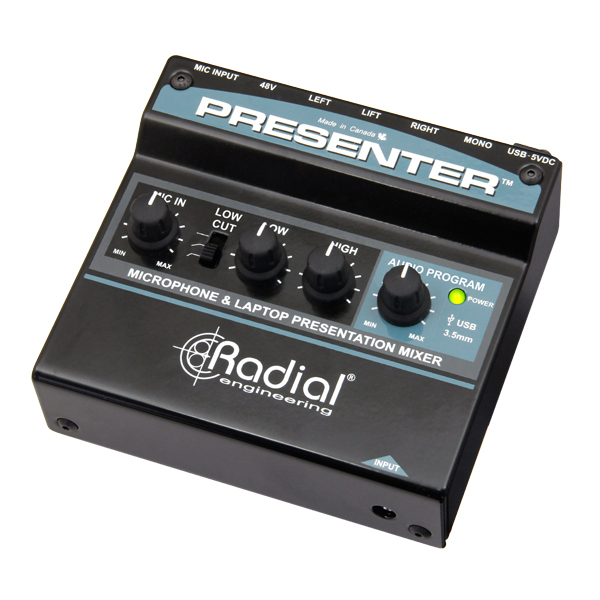 You merely connect to the mic inputs on your mixing console or to any +4 line level device and you are set to go! 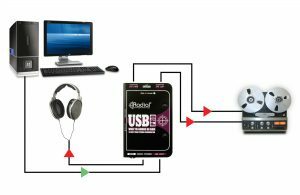 Convert your client's files instantly! 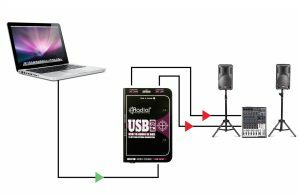 Simply connect the laptop to the USB-Pro and transfer files to the recording system at the maximum sample rate for best audio fidelity. 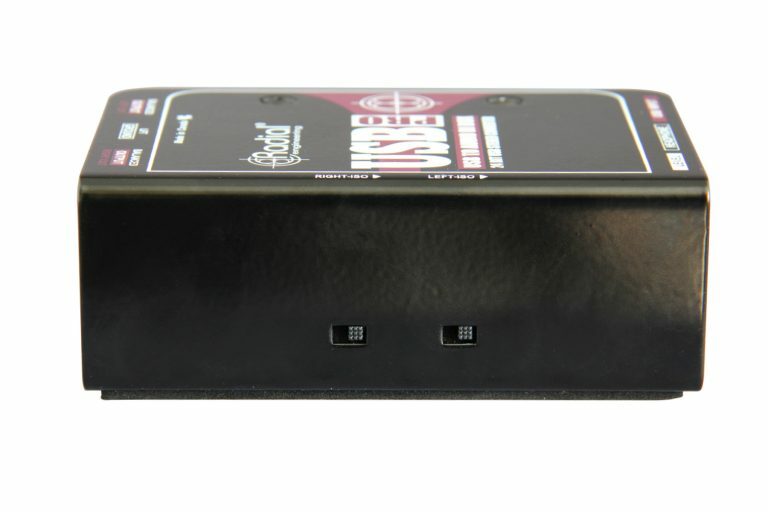 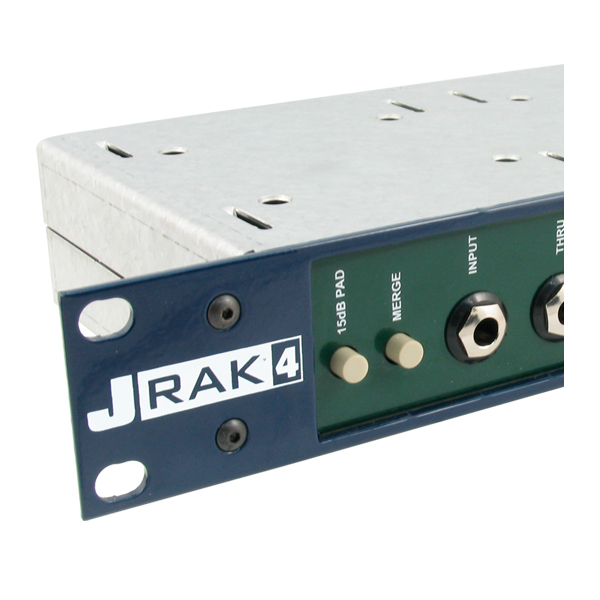 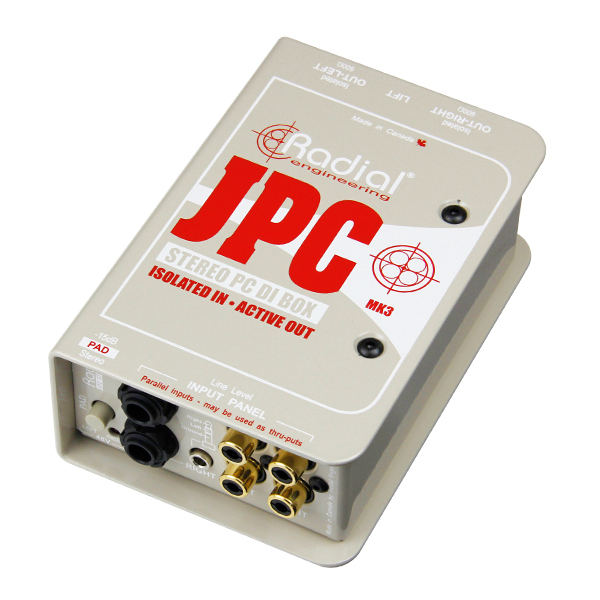 The built-in headphone amp makes it easy to check for signal integrity. Anyone that has incorporated audio with a projector knows that noise can be a serious problem. 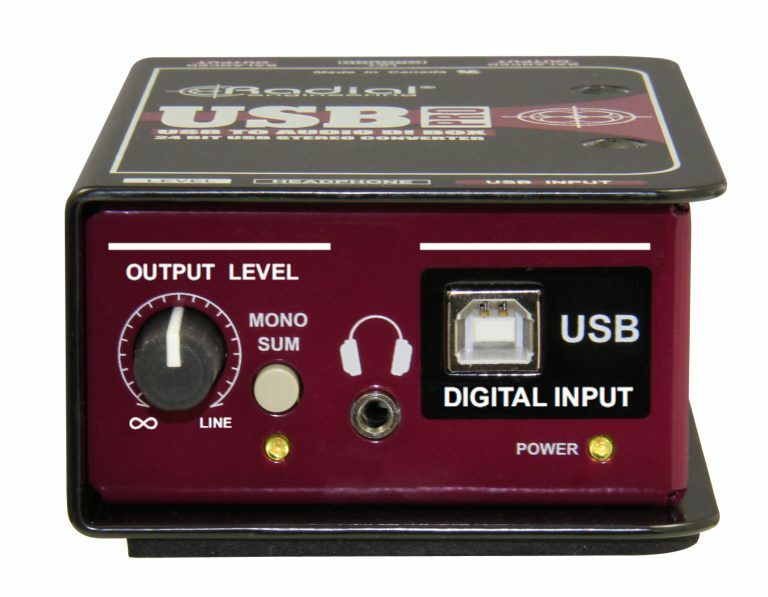 The USB-Pro is equipped with isolation transformers that may be switched in to eliminate hum and buzz caused by stray DC voltage and ground loops. 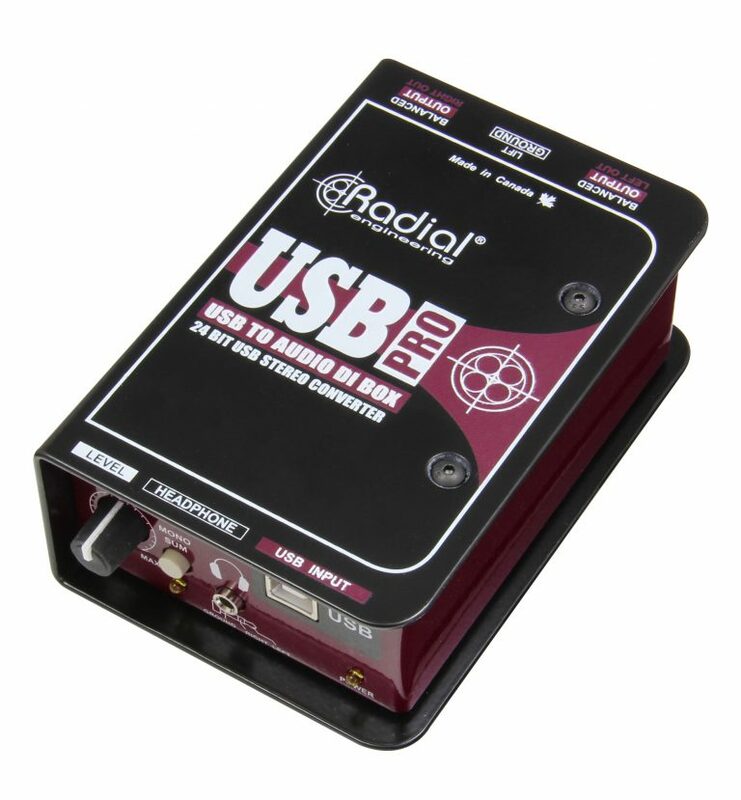 "Sometimes I think Radial Engineering is in the business of inventing cool new gizmos to solve problems you didn't know you had... or that you knew you had but didn't know there was a fix for. 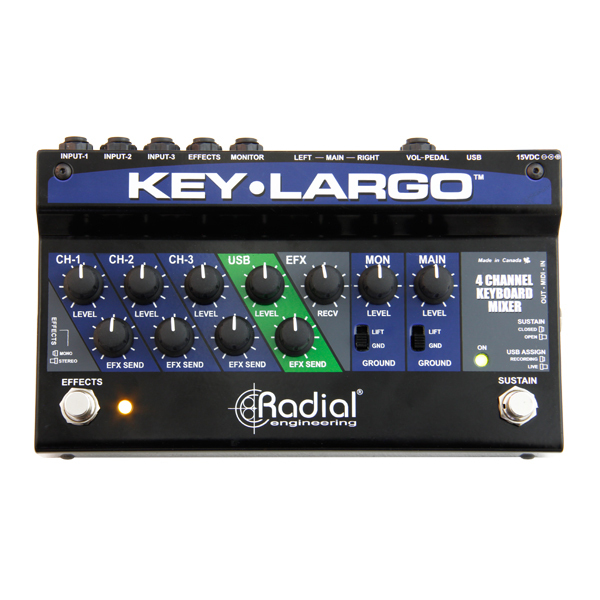 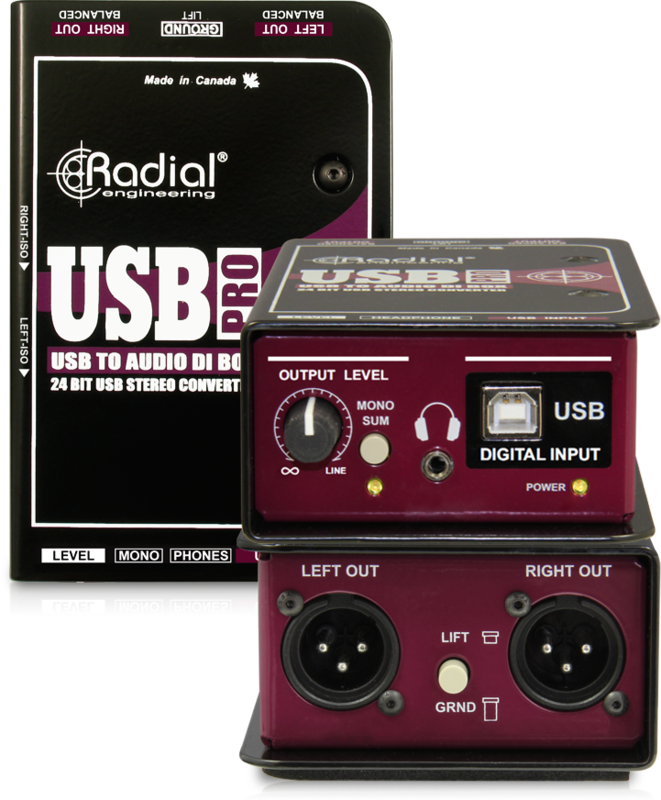 Here's another example: Radial's first ever digital audio product, the USB-Pro..."
"I acquired a Radial USB Pro to use on the CX Roadshow because I needed an audio interface to sit between my laptop and a mixing console for an audio demo. 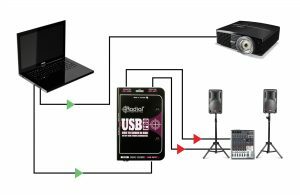 People tend to examine my demo setups pretty critically, and for that reason the USB Pro was good. 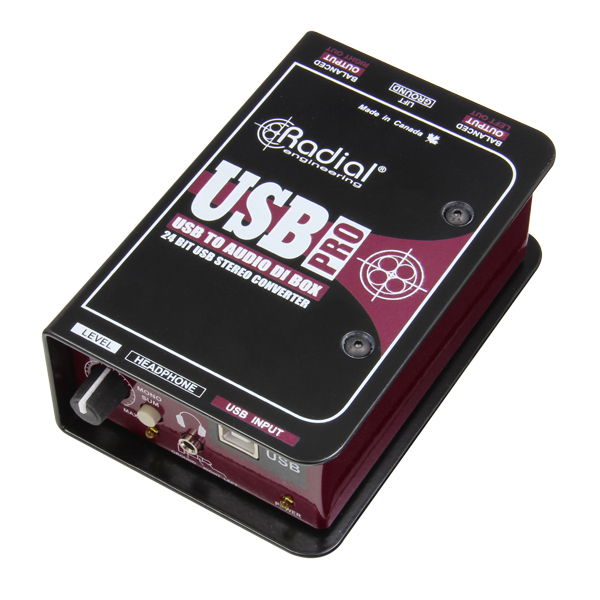 I've never seen anyone look at a Radial box and question it." "When PA system tuning demands file based playback, I immediately turn to my Radial USB Pro. 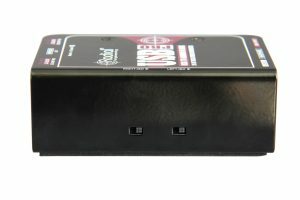 It offers ultra-high quality output of my computer based hi-res files for very accurate system evaluation. 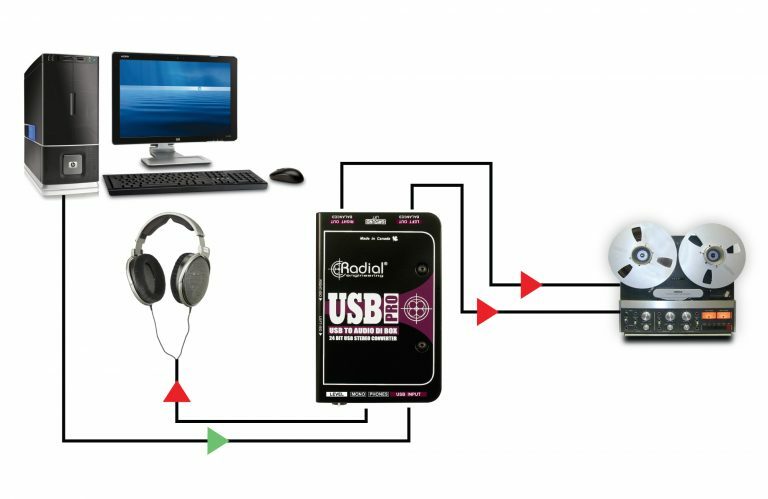 Simple to use and totally effective."